Just two months after flipping from Spanish Tropical to Classic Hits, 105.3 WJSJ Fernandina Beach/Jacksonville dropped its “105.3 The Mix” identity on Monday. 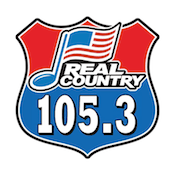 At 2pm, the station flipped to Classic Country “Real Country 105.3“. Posting on the former format’s Facebook page that the change was related to a sale of the station. The new format is focusing on Country hits from the 1970’s through 90’s and is teasing the pending debut of Leroy Boomer in mornings. Boomer, who hosted mornings at Clear Channel’s 99.1 WQIK from 1998 to 2012, currently hosts afternoons at “K-Bay 106.3” WKBX Kingsland, GA. Mix afternoon host Chris Wayne exits with the change.